Escape the cold in Atlanta’s very own tropical oasis! 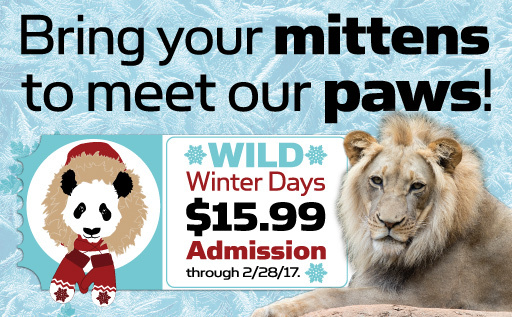 Cure cabin fever with a warm introduction to the sights and experiences of a Zoo for all seasons – at an exclusive limited-time discount! Promotion is valid January 5, 2017, through February 28, 2017. Offer is valid online and at the gate; not valid with any other discount or promotion.